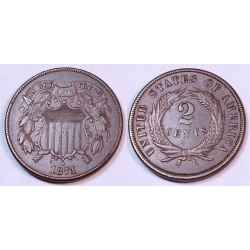 A very choice, very scarce coin. 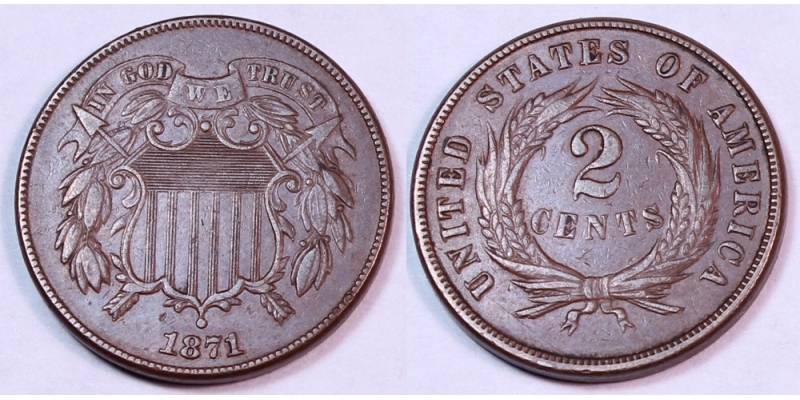 Low mintage, nice color and surfaces make this a great 1871 2¢! You'll look long and hard to find another this nice. This little honey is $325.